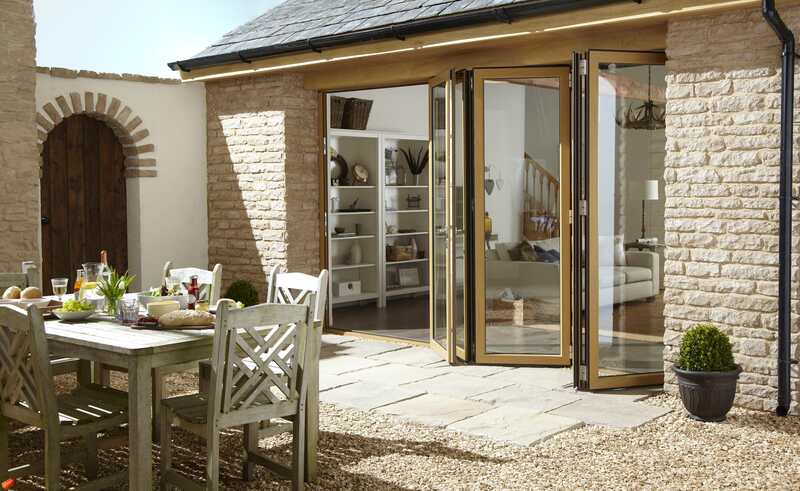 Invite the light in with our stunning range of aluminium bi-fold doors, which will add value to any home. Our aluminium bi-fold doors open fully to provide unrivalled views of the outside. If you want to connect a room in your Bournemouth home to the outside, our aluminium bi-folds will enable you to achieve this effect without any difficulty. At the same time, because they let in lots of light, this high-performing range of doors will connect together your interior spaces to give your home a more joined up feel. Access won’t be a problem when you choose aluminium bi-fold doors from Immaculate Homes. Because they stack in to vertical panels to the side of a property, they create a wide aperture that enables fluid threshold access. During busier times -perhaps when you’re entertaining – your aluminium bi-fold doors will come in to their own by allowing visitors to leave and enter as and when they please. Immaculate Homes has extensive experience of installing aluminium bi-fold doors for customers living in Bournemouth, Christchurch and the surrounding area. We’ll work with you closely from the start to identify your design requirements, so that we can build a product that meets your design requirements exactly and will deliver the high levels of performance you expect and deserve. Contact us for a quote. Immaculate Homes sources its bi-fold aluminium doors from Origin: a globally respected manufacturer recognised for its innovation and the high-grade materials it uses to create its products. Origin thoroughly tests its products to ensure they perform to industry-leading standards; this means you’ll be able to rely on your aluminium bi-fold doors to add value to your home near Bournemouth in every possible way. In what way do Origin aluminium bi-fold doors outperform their competitors? The customers we visit in Christchurch – and throughout the Dorset area – are just as interested in the practical benefits of their new doors as they are aesthetics. Origin aluminium bi-fold doors perfectly combine looks with performance to create a double glazing product designed to protect homes from most attempts at unauthorised access. Origin aluminium bi-fold doors don’t just meet the exacting industry standards defined by PAS 24. They exceed them. This is because of the 8 point locking system built in to each door’s profile as standard, which work in close partnership with secure hinges and 20mm linear bolts. Intruders will struggle to bypass the cylinder system used in these bi-fold doors, which will provide protection against snapping, breaking or bumping. The performance of our beautiful bi-fold aluminium doors is equally matched by their stunning aesthetics. You’ll be able to browse a range of more than 150 RAL colours to customise your brand new product, so that it ties in with your existing colour schemes and the architectural layout of your home. The customers we work with in the Bournemouth area often add a wood grain foil to their aluminium bi-fold doors, so they can achieve an authentic look without having to worry about the maintenance issues commonly associated with wooden doors. Contact us to discuss your design needs. You can tweak the design of your aluminium bi-fold doors by selecting from a range of panels, thresholds and sizes. We can even configure the door to open in our out, depending on your preferences. Your customised doors will look, behave and perform in line with your exact specifications. 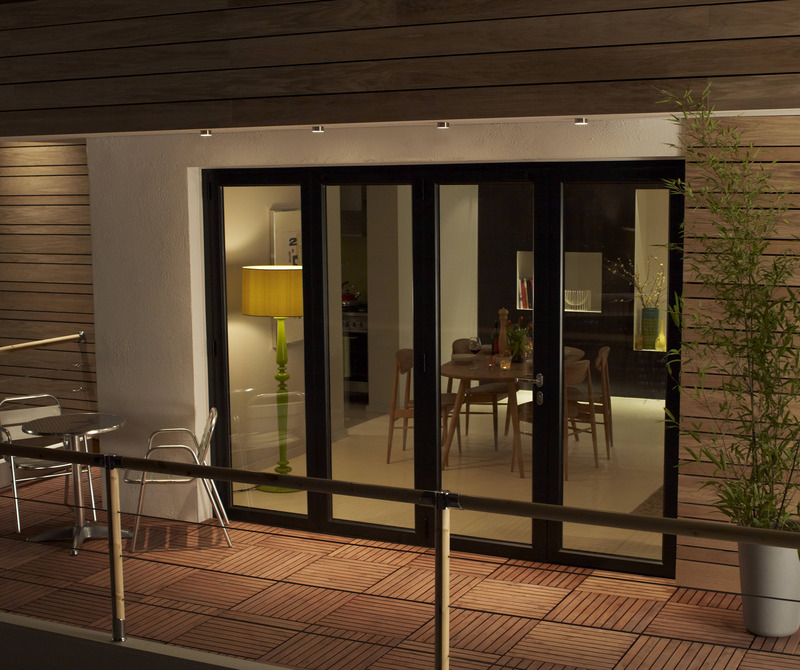 Our stunning Origin aluminium bi-fold doors have been designed with easy operation in mind. Sliding back and forth using a six-wheel carriage, our lightweight doors can be effortlessly opened and closed to provide beautiful vistas of your garden with minimal effort and, just as importantly, very little noise. Immaculate Homes can provide a range of threshold formats for its bi-fold aluminium doors. This means your product can be configured to enable universal access, so that people with mobility issues will be able to cross the threshold of your home fluidly. Our thresholds will also help prevent injury caused by tripping. Staying warm is a priority for the customers we work with throughout Bournemouth, Christchurch and the Dorset area. Thermal efficiency is guaranteed with our aluminium bi-fold doors, which are frequently surpass the minimum standards defined by Building Regulations and which will achieve a U-value of 1.32 for your home. 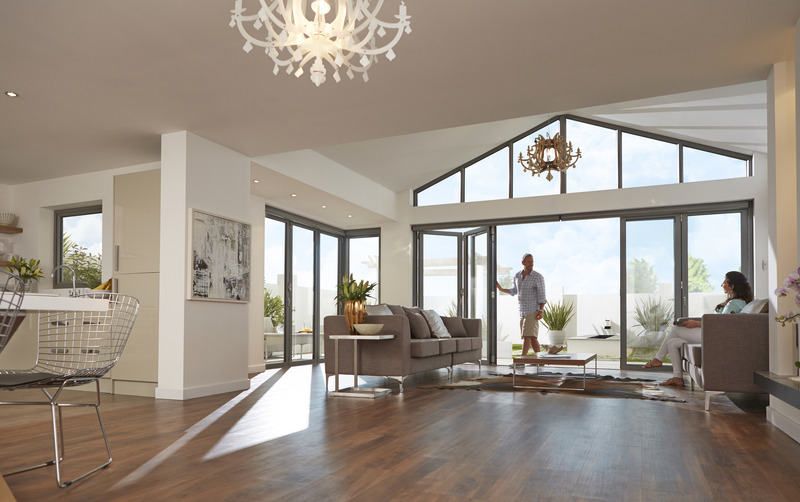 For more information about our high-performing bi-fold aluminium doors, please contact the Immaculate Homes team by calling 01202 427700 or sending us a short message, in which case we’ll ring you straight back. If you would like a free aluminium bi-fold doors prices for your home near Bournemouth or Christchurch you can use our free design tool to generate guideline costs for doors, windows, orangeries and more.